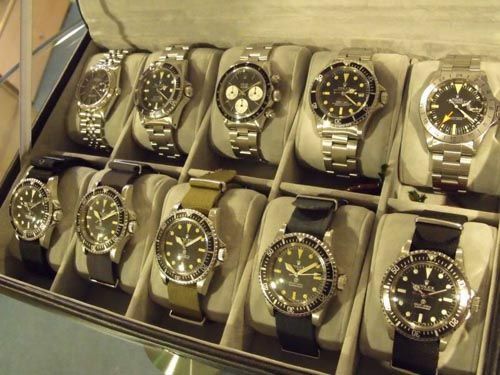 Incredible Collection Of Vintage Rolex Sports Watches For Sale! Rolex British military Royal Navy issue Submariner. Rare Navy issue ref. 5517 watch (this reference is exclusive to the British military!). Watch is fitted with a replaced caseback. Serviced at Rolex UK in 2003 with all supporting documentation. (Ref. 5517). Yes, I know. I had to gasp for breath as well. You can find more pictures and Mike’s contact details by following this link. Thanks to Dustin of the Dutch RF for the heads up.